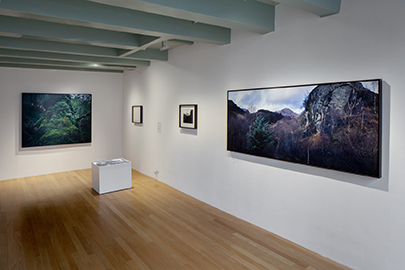 Curated by Saskia Asser and Chrystel Lebas, the exhibition takes the visitor on a journey through landscapes of Scotland, Norfolk and Devon. 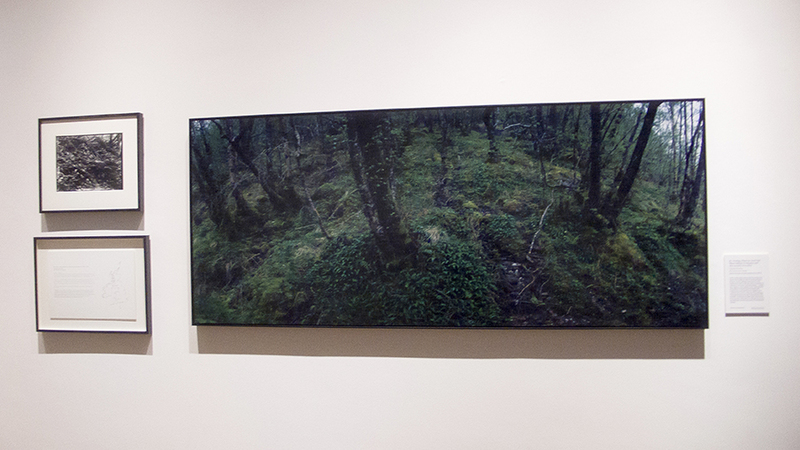 Walking and following the steps of Sir Edward James Salisbury the landscapes are scrutinized and re-photographed 90 years appart. 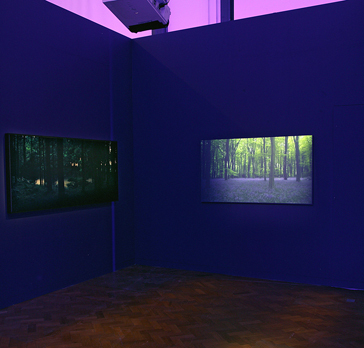 Chromogenic prints from colour negative, Silver gelatin photographs re-printed by Chrystel lebas from the original E.J. 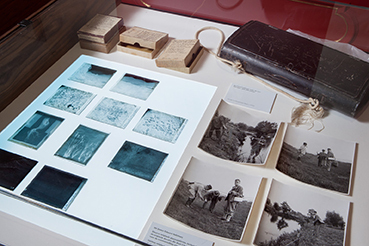 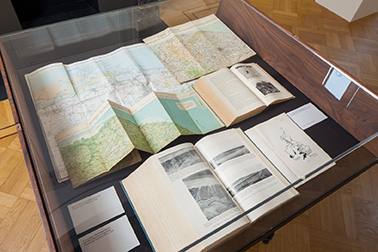 Salisbury's glass plates, texts, maps, lightboxes and a film installation, all at Variaton of sizes. 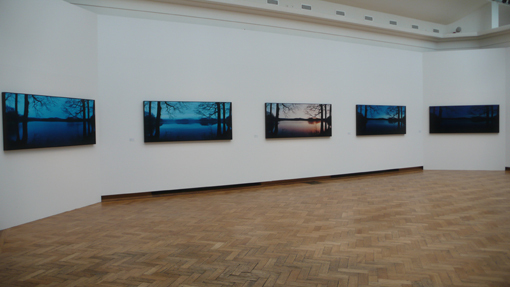 Chromogenic prints from colour negative, mounted on aluminium, various size. 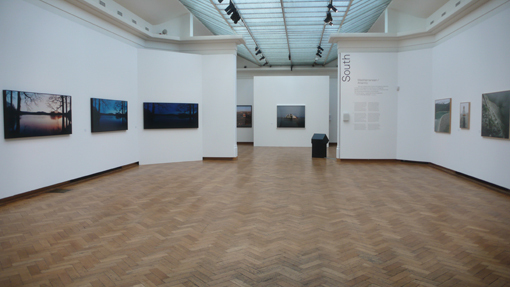 Above image, right and left walls photographs by SofijaSilvia. 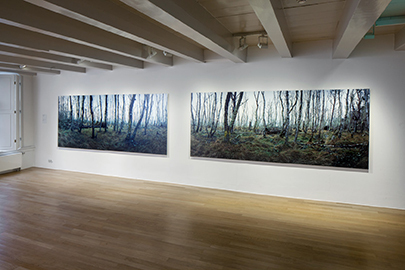 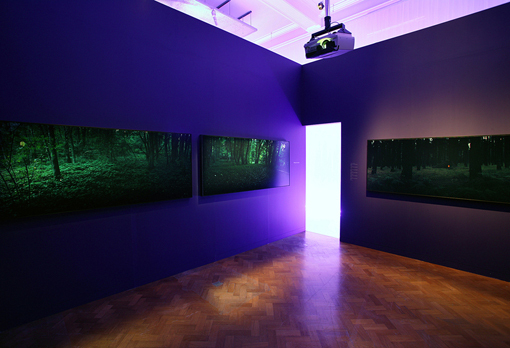 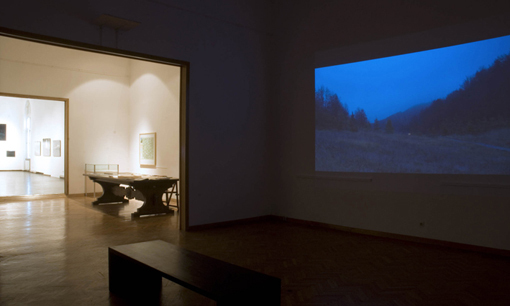 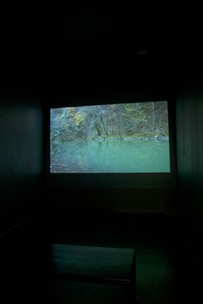 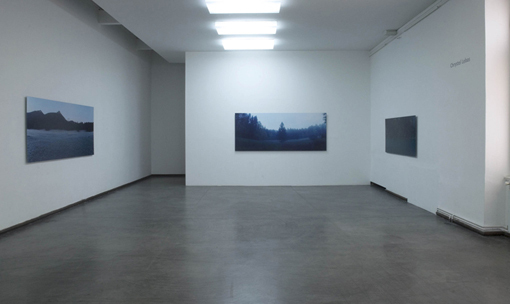 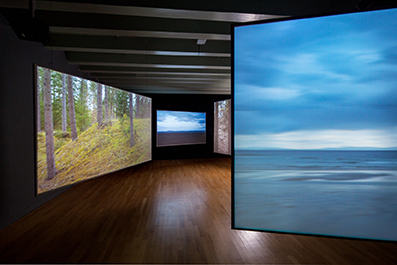 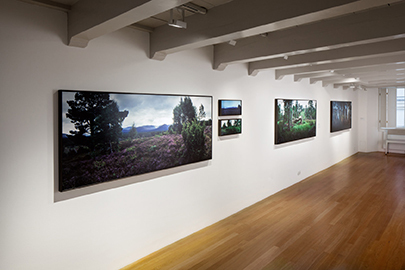 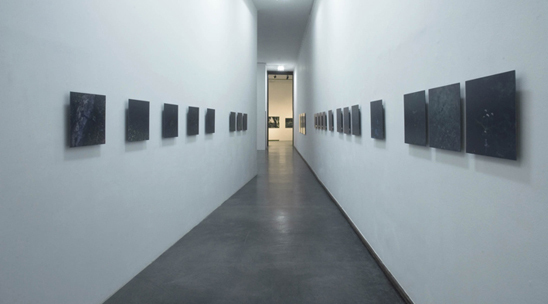 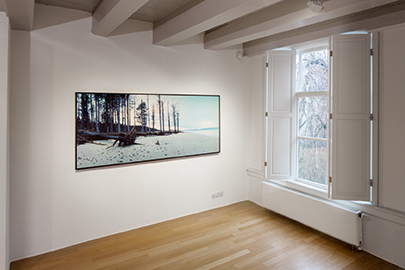 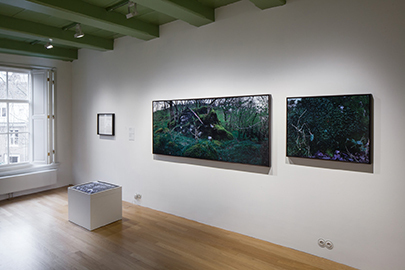 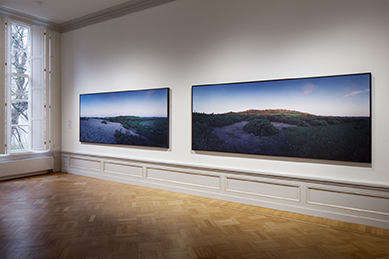 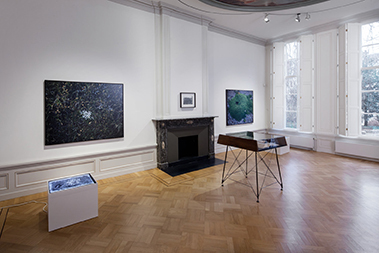 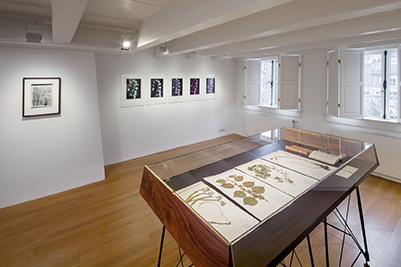 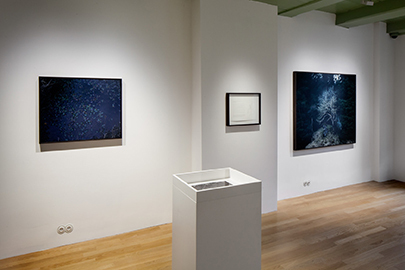 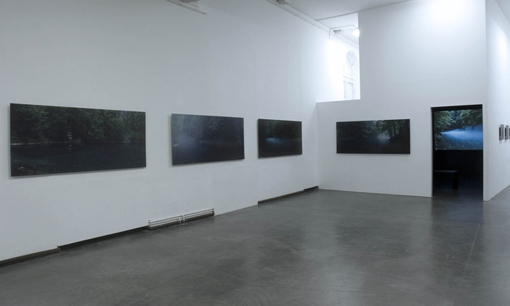 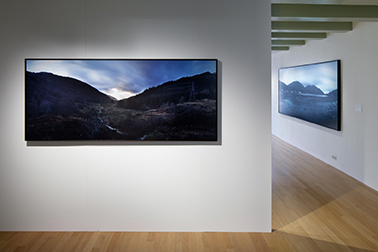 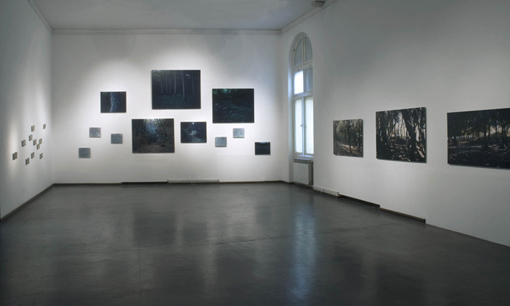 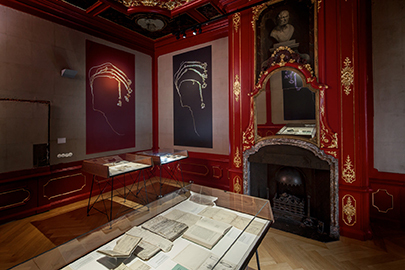 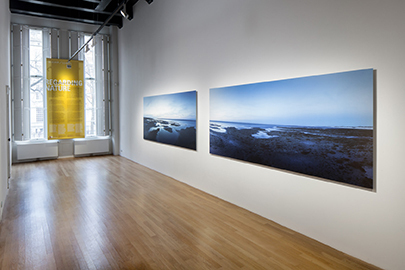 Above left, selection from Abyss, Chromogenic prints from colour negative, mounted on aluminium and tray framed, 860 x 2000 mm; Above right, from Abyss and Blue Hour film installation.